Tags: Pink Boots Society, Roosters Brewing Co.
International Women’s Day in March marked an important moment for the sisterhood of the local craft brewing scene. Having established a Pink Boots chapter two years prior, the Utah membership is growing and gaining energy. Members of the chapter once again joined at Roosters to create a custom beer in celebration of the yearly worldwide day of awareness of surrounding women’s issues. 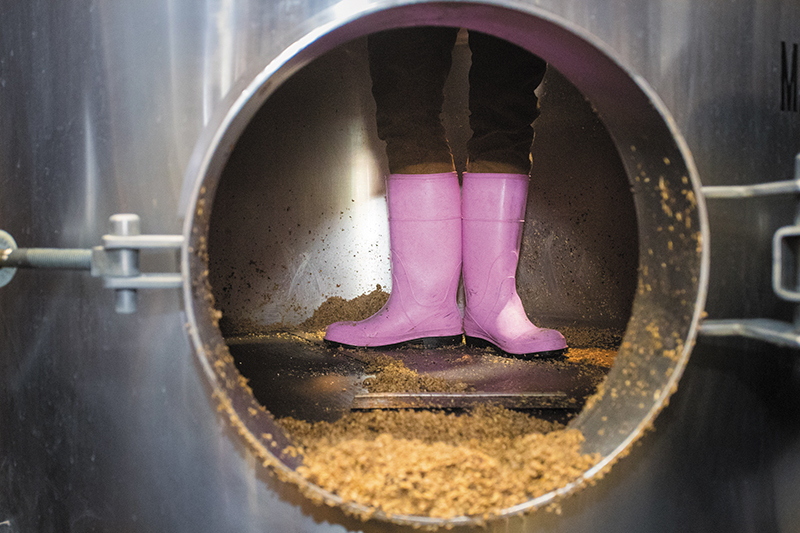 Now an annual event, Pink Boots’ Collaboration Brew Day encourages collegiality to create a beer incorporating Yakima Chief Hops, the sales proceeds of which go to the Pink Boots scholarship fund. PBS brewed the Utah Chapter’s cold session IPA, called “On Wednesdays We Wear Pink Boots.” “We steeped some hibiscus in the whirlpool to make the beer pink!” Burnham says. At the time of this interview, it was scheduled to release on March 27, and cans are “available at Roosters B Street location and on draft at all participating breweries and some beer bars,” Burnham says. “One of our fellow Pink Booters, Julie Kirkland, and her 11-year-old daughter, Lily, designed the label. 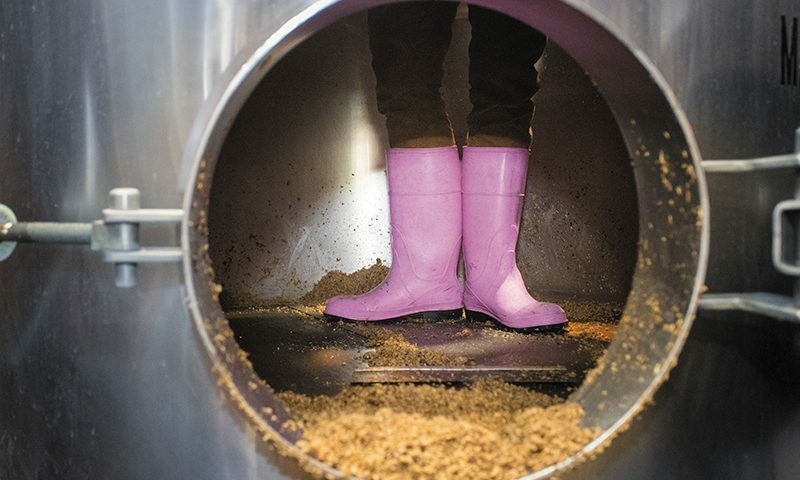 Be on the lookout for this year’s Pink Boots beer and the ongoing growth of Utah’s chapter of women crafting magnificent beers collaboratively.